Convenient Location. Affordable Prices. Exceptional Service. If you are seeking a short-term rental or corporate apartment in Salt Lake City, we hope you will consider Sky Harbor Apartments. 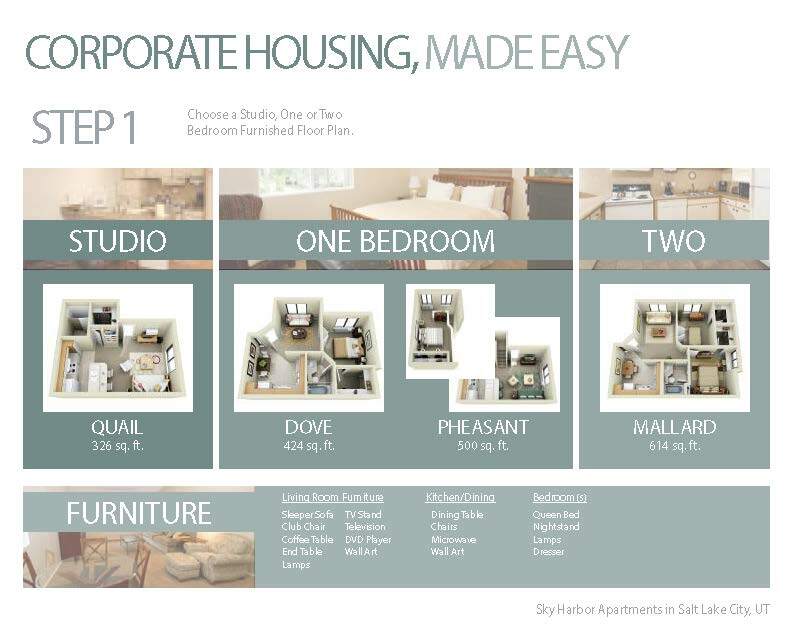 At Sky Harbor Apartments, we offer a great location for with several furnished floor plans for rent in Salt Lake City. Our community is conveniently located next to TRAX Station 1940 and nearby I-15 and I-80. We understand your clients or coworkers may need a comfortable, cost-effective alternative to conventional hotels and our studio, one and two bedroom furnished apartments provide all the comforts of home. Our award-winning short-term rentals offer full kitchens with microwave ovens, and cable TV with DVD players. 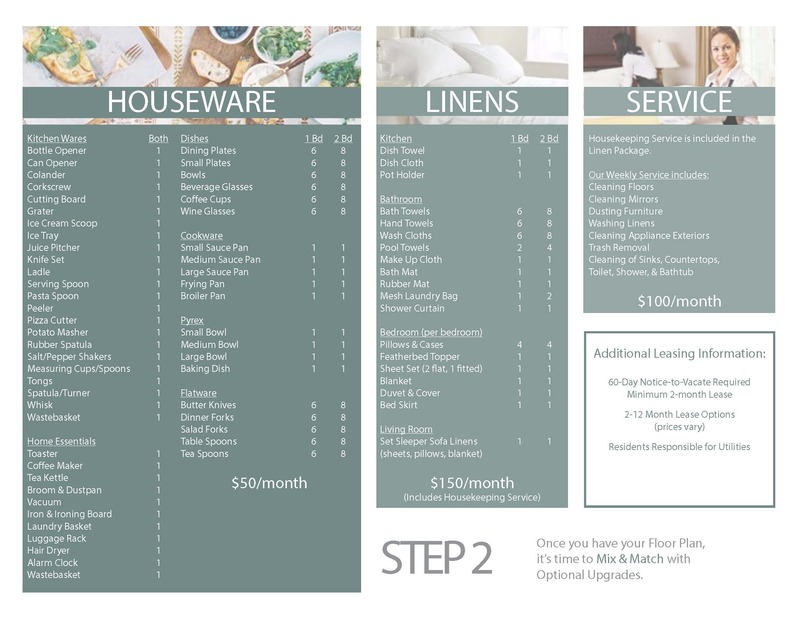 We offer houseware packages, linen packages, and weekly housekeeping as options to make your move as easy as possible. Our bedding collection features Sealy Posturepedic Pillow Top mattress with luxury feather top beds. An overstuffed down duvet comforter, fluffy pillows with soft yet crisp white linens completes the package. We are confident you will feel right at home. On your mobile device? To view Rental Options for our Corporate Apartments as a PDF, please click here.